HL Suitehotel Playa del Inglés is located very near the Maspalomas Dunes and just 200m fom Playa del Inglés. The luxury hotel offers spectacular views of the sea and the dunes. 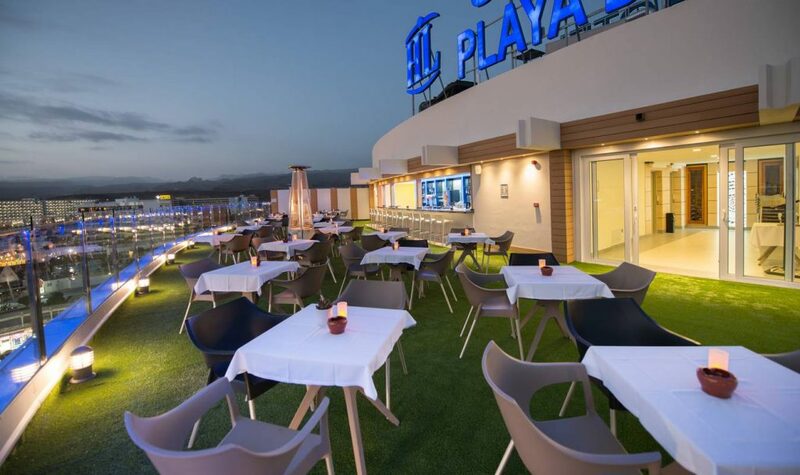 An adults only +18 designer hotel offering 4* luxury along Playa del Inglés making it an ideal place for a romantic stay. All it’s rooms are exclusive Double Rooms providing luxury and comfort. 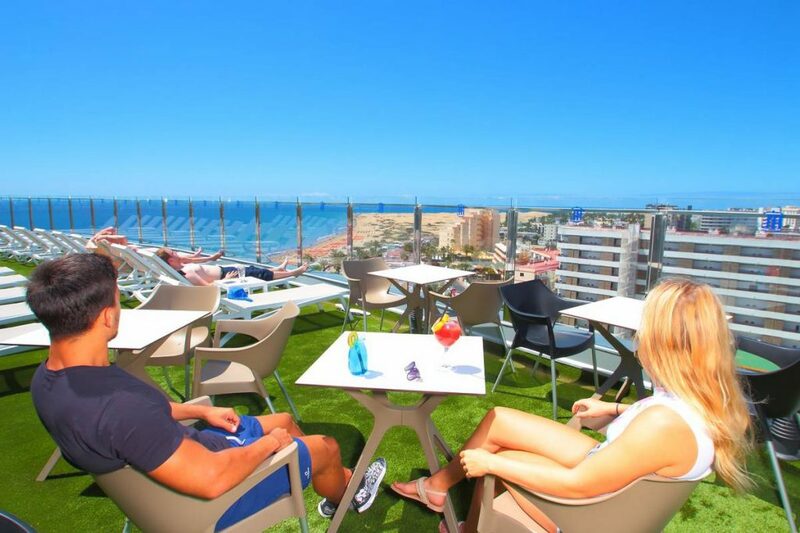 The hotel has an amazing rooftop terrace with spectacular sea views. Perfect for chilling out and to watch the sun go down with a glass of wine. There is a number of swimming pools with pool bar, spa, gym, solarium, massage service, free wi-fi, and in the evenings there is entertainment provided.